01/11/09: Debunking 7/7 Debunking: An article in two parts that debunks some of the disingenuous attacks against those not convinced by the official story of 7/7. Read Part 1 here and read Part 2 here. December 2010 update: Debunking 7/7 Debunking Part 3. 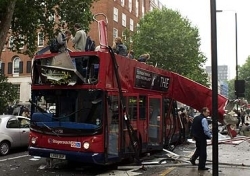 This site was set-up following the London bombings on 7 July 2005 with the aim of getting to the truth about what really happened on the day that 56 people were killed and over 700 injured on London transport. Initial train operating company reports on the day announced the devastation on the Underground was the result of a 'power surge', and this continued to be reported until shortly after the explosion of a number 30 bus in Tavistock Square at 9.47am. After the bus incident a very different version of events began to unfold, involving everything from military grade explosives with timers or remote detonators, placed on, or under, train floors, right through to highly-volatile, home-made explosives allegedly carried by four young British men. Five years on from the events that this site endeavours to examine and the debate about 7/7 now hinges on whether or not there should be an independent public inquiry. Or, whether a flimsy, shoddily researched, factually incorrect, and anonymously penned and published document that sketches an outline of the official story [PDF] should suffice as an explanation for how 56 lives were taken. To date, and despite the release of some CCTV footage purporting to be from the day of 7 July 2005, not one piece of evidence has been released to the public that could be legitimately used to convict someone in a court of law for what happened, yet the government still has no plans to organise an Independent Public Inquiry and "families of July 7 bombing victims fear they may never learn the truth". 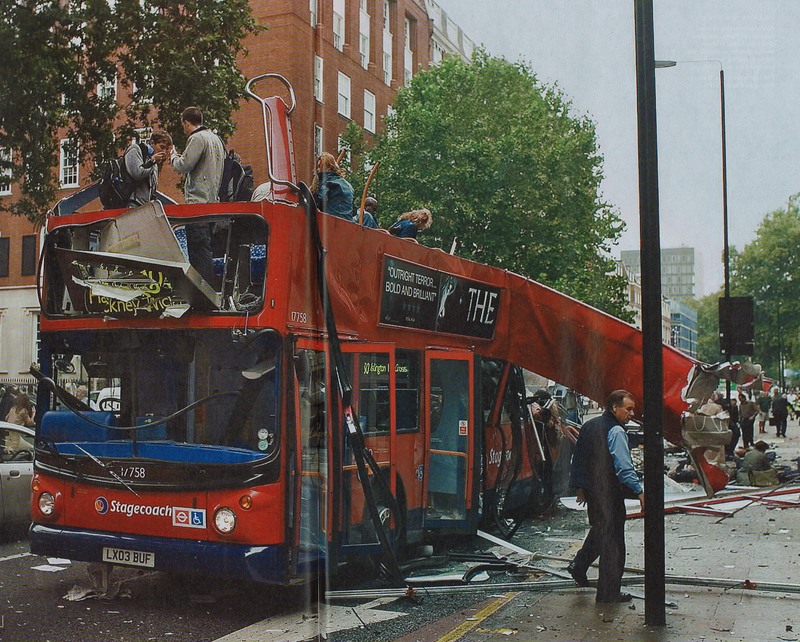 Despite this, some argue that we know what happened on 7/7, and that a Public Inquiry is an unnecessary waste of money. Former British Prime Minister, Tony Blair, shamefully dismissed the early calls for an inquiry as a "ludicrous diversion". Others argue that we know exactly what happened but that we still need a public inquiry to discover why the attack wasn't prevented. So, whatever way the story plays out, the guilt of the accused is automatically and implicitly assumed, in a way quite contrary to a fundamental tenet of British law, the presumption of innocence. Further, the guilt of the accused has been assumed without any judicial or public scrutiny of the evidence the government claims to have. Thus far we have had what amounts to a trial by media, based solely on State pronouncements and anonymous leaks that are to be taken on no more than trust. The 7/7 inquiry being called for by everyone other than J7 is not an inquiry into what actually happened, how it happened and who made it happen, but instead a proposed inquiry into the possible failings of government, police and 'intelligence' services that resulted in them being unable collectively to prevent what happened. On the basis that those charged with crimes are "innocent until proven guilty", J7 are the only organisation that has proposed the notion of a public inquiry into the events of 7 July 2005 in which the guilt of the four accused is not implicitly assumed, particularly not without any judicial or public scrutiny of all the evidence. Should the evidence corroborate the official story, and prove conclusively the case against the accused, then we would be perfectly happy to accept that conclusion; if the official story is true, then there should be no problem with making all the evidence available for public scrutiny. However, with specific reference to instances of terrorism on mainland Britain, the British State's record of honestly and justly bringing the perpetrators of terrorist attacks to justice is shockingly poor. Several notable precedents exist in which the State and police colluded in at least one of the following despicable acts: the deliberate manufacture of evidence to secure a conviction; the suppression of evidence that would clear the accused; the extraction of false confessions through violence and intimidation. Some of those that have fallen victim to such underhand tactics include the Birmingham 6 in the case of Birmingham pub bombings, the Guildford 4 with respect to the Guildford pub bombings, the Maguire 7, Danny McNamee and Judith Ward, among others, the latter of whom suffered 18 years imprisonment for a conviction that the appeal court quashed, concluding that the conviction had been "secured by ambush". Another act of terrorism for which nobody has ever been charged, much less justly and honestly prosecuted, is the Manchester Arndale Centre bombing of 1996, about which Greater Manchester Police Deputy Chief Constable Dave Whatton made the announcement, shortly before the tenth anniversary of the bombing, that there was "no realistic possibility of a prosecution". History more than amply demonstrates that there exist a concerning number of terrorist attacks in Britain from which much political and legislative capital has been made by the State for which the actual perpetrators have never been arrested, charged, prosecuted or brought to justice. In additon to the nature, scope and focus of any public inquiry, there is the not inconsiderable issue of a piece of legislation called the Inquiries Act 2005 which passed into law exactly one month before 7/7. The act legislates full control of every aspect of any public inquiry to the executive, allowing the State to block scrutiny of State actions, shut down avenues of inquiry at will, suppress publication of information, and a raft of other things that are counter to conducting an honest and open public inquiry. The act was labelled "the public inquiries cover-up bill" and was drafted in response to the calls for a public inquiry into the murder of Human Rights Lawyer Patrick Finucane. Finucane was executed in his home, shot 14 times, in front of his wife and three children as they sat down to eat dinner. After investigating the killing, former Metropolitan Police Commissioner Lord Stevens concluded there had been collusion and collaboration between Mr Finucane's killers and members of the British security forces. The Finucane family have taken a principled stand and actively refused to participate in any proposed public inquiry into the murder of Patrick under the terms of the current act. They are supported in their cause by Amnesty International and the July 7th Truth Campaign. J7 believes that the families of the 56 people killed on 7 July 2005 also deserve an honest, fully independent, transparent, accountable and open public inquiry, held outside of the limiting remit of the Inquiries Act 2005 and suggest that judges, the bereaved and injured similarly refuse to participate in any inquiry proposed under the terms of the 2005 act. In order to address these issues and to try and get to the truth about what happened on 7 July 2005, J7 have one simple demand, that the government RELEASE THE EVIDENCE which conclusively proves or disproves, beyond reasonable doubt, the official Home Office narrative.